From the moment I realised the movie was based on therapy, I was transfixed. PHOTO: IMDB. There are times in everyone’s life that they experience a moment so vividly, that everything falls into place. Sometimes movies can do to that too; Dear Zindagi did just that. I’m not the kind of person to stay up late at night and watch movie after movie, but once I started Dear Zindagi, I couldn’t stop. I don’t intend to give away any spoilers but, to sum it up; the acting is superb, the writers have done their homework well, the frames are dreamy but the real catch is the message the movie gives out and how it gives it. Every time we hear about a movie based on science, we unleash our inner critic to see where they falter and when it’s Bollywood, we are almost quick in assuming that they would make a mess of it. Then again, who said human actions were always predictable? So here’s Dear Zindagi: a story that revolves around a young city girl struggling with life, and how she decides to go for therapy. It’s the kind of story that resonates with you, as it sends a universal message. The story unfolds from there, knitted around a beautiful therapeutic relationship; the resulting process of self-discovery, catharsis, and the protagonist’s development of a deeper self-understanding. From the moment I realised the movie was based on therapy, I was transfixed. I couldn’t believe a movie like this was finally hitting the silver screens; there would now be awareness on the taboo that mental health professionals have been fighting for years. It is Indian cinema though, so I cringed at the thought of what would happen to the process of therapy. But the fact is, it was a treat to watch and one with minimum glitches and ethical blunders – it’s commendable. The actors have portrayed the scenarios so well that the movie actually reminded me of quite a few therapy sessions that I have conducted. 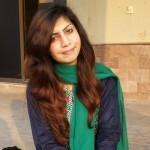 As a mental health professional working in Pakistan, I have observed a reluctance in people to approach us – let alone admit that they need help from a mental health perspective because it involves the deep-set fear of being judged and labelled as crazy. And in some cases a sheer disbelief in the efficacy of psychological treatments. I regularly have to address queries like how can talk therapy work? Or what if people start considering us crazy for going to a shrink? There is this innate fear that blocks people from even attempting to discover their problems, and it comes from a lack of awareness as well as the so-called taboo of mental illness. That one sentence made my day because I realised that my efforts had paid off. Her smile, and that light in her eyes was what I was waiting for and this movie showed me a glimpse of that moment of salvation. Another very important aspect of therapeutic relationships that was addressed in this movie is the concept of transference – the attachment of feelings of a client towards a therapist. This is one of the most significant indicators in unveiling the unconscious desires that emerge symbolically during the process of therapy. These feelings could either be negative or positive but they always emerge. I can recall countless instances where clients have either addressed me as a child, or a mother figure, or even found a reflection of their loved one in me. Or they developed an interest in my personal life. After all, this is just an extension of human social behaviour? It’s commendable that this movie skilfully handled the client’s, as well as the therapist’s, side of the commitment involved in a therapeutic relationship. Above all, it gives a clear message of accepting yourself, and taking charge of your thoughts. As a psychologist, the mantra ‘acknowledge your feelings and let them flow’ is my favourite and it works in the exact same way. In our everyday lives, each one of us is running from or towards something. Work, educational goals, relationships, health, time; it’s all a race and we never really sit down with our feelings and think. We never take a moment to pause, breathe, acknowledge that we are here, and that we exist. Maybe that is the reason why we are all so afraid all the time; maybe this is where the taboo stems from. Our fear of being exposed, of being vulnerable is what stops us but once we’re already there, we realise how not addressing the problem was actually the problem in the first place. A client–therapist relationship is based on the premise of providing active support where two individuals come together to address a person’s life struggles in order to provide relief through active listening, insightful reflection, acceptance, and empathic concern. These few actions on the behalf of the therapist help the client see a clearer picture of where they stand in life, and if any of their own actions are the cause of their struggles. It is believed that human beings always have an edge over their thoughts, unless there’s some intense traumatic chemical imbalance or pathology involved, every one of us can develop the power to watch over our minds. We just need to fine tune the sense to pick up on when we feel distressed. We are all constantly living under stress and many times we fail to develop a distant perspective of looking at our situations – that’s where someone can help you. It doesn’t even have to be a mental health professional. I have never witnessed anything more amazing than watching someone realise that they need to start taking charge of their life. You can’t compare it, because when they come to you for help, and finally do start taking charge – it is everything. 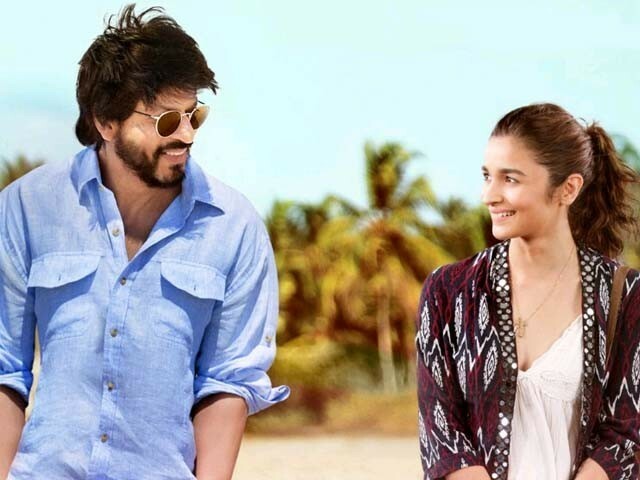 Dear Zindagi’s team has done a wonderful job explaining the science behind therapy. In life, when you notice a pattern or habit forming, think carefully about whether you want it to stick or not. The author is an MS scholar from DBS - NUST. A practicing Psychologist and a lecturer since 4 years, currently working in the APS boys Peshawar for trauma rehabilitation. How did you watch an indian Movie.??? ?